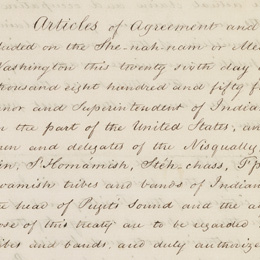 Treaties—solemn agreements between sovereign nations—lie at the heart of the relationship between Indian Nations and the United States. 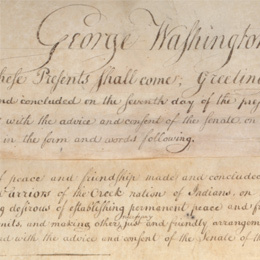 Native Nations made treaties with one another long before Europeans came to the Western Hemisphere. 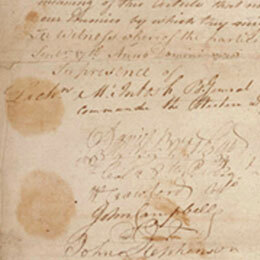 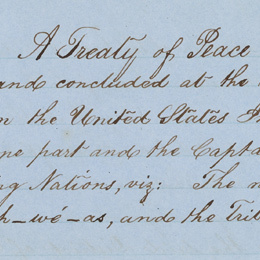 The United States began making treaties with Native Peoples because they were independent nations. 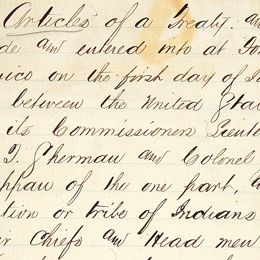 Often broken, sometimes coerced, treaties still define mutual obligations between the United States and Indian Nations. 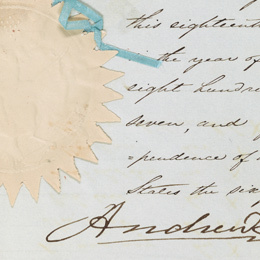 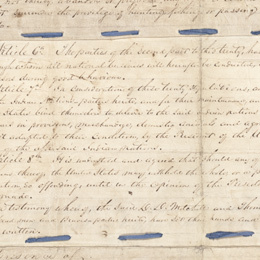 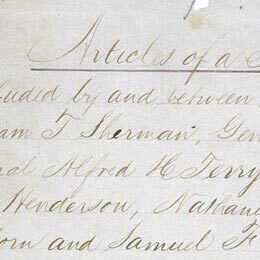 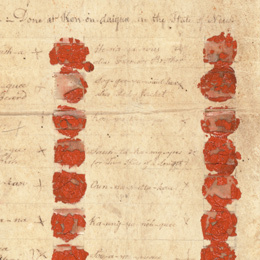 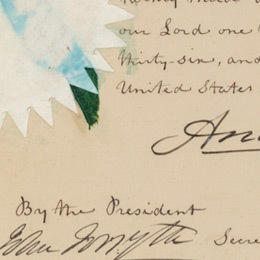 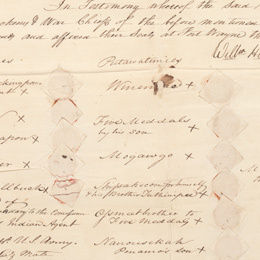 The eight treaties featured in Nation to Nation: Treaties Between the United States and American Indian Nations, on loan from the National Archives and Records Administration, are representative of the approximately 374 that were ratified between the United States and Native Nations.